Town in the region of La Alcarria, 60 km away from Cuenca, considered, because of its enclave and beauty, as the balcony of La Alcarria. Apart from taking splendid panoramic pictures of its valley, we must highlight, among its traditional architecture, the wine caves excavated into the hillside and, in its town center, the church of Our Lady of the Assumption is worth visiting. 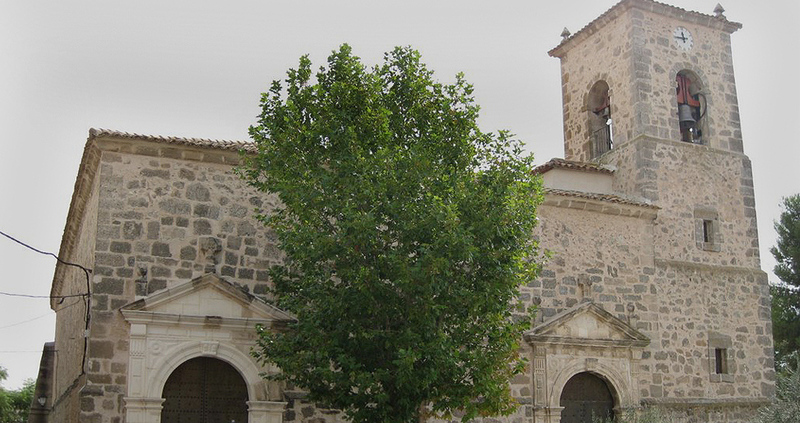 The outlines of this church, made in masonry, were made by Francisco de Goya between 1570 and 1571. It has also two twin façades, each of them has semicircular arches. In the interior, there are three naves, separated by square pillars. Each nave is covered by groin vaults, whereas the one over the transept is lobbed and that over the presbytery is a barrel vault with lunettes. In the main altarpiece we can admire some beautiful paintings of Saint Isidore and Saint Andrew. Within its municipal district it is the site of Buendía, belonging to the Magdalenian period of the Upper Palaeolithic, more than 14000 years old, where continuous excavations are performed.